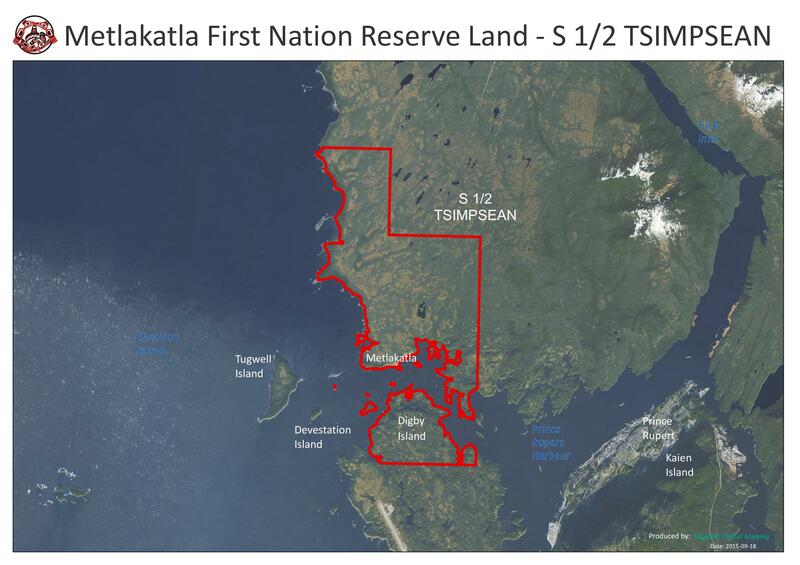 S 1/2 Tsimpsean 2 (3,270 hectares) - The village of Metlakatla is located on the southern portion of Tsimpsean IR 2, in addition to the village; S ½ Tsimpsean includes the northern portion of Digby Island on which the Prince Rupert Airport is located. The Village is accessible by ferry from Prince Rupert. 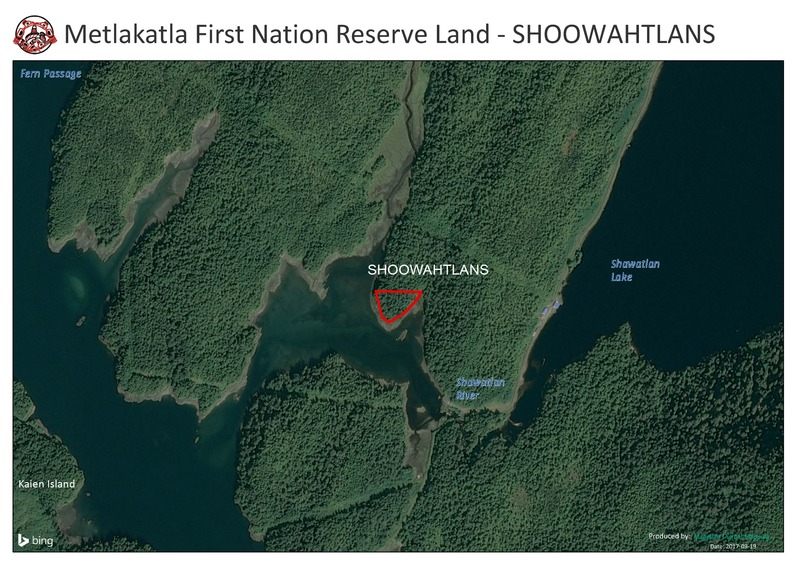 Wilnaskancaud (2.3 hectares) - is located in Prince Rupert, east of downtown. 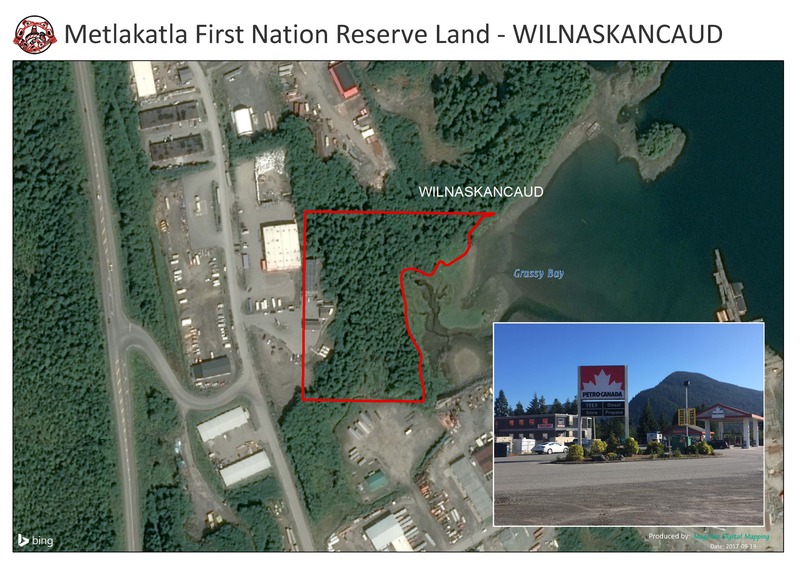 There is a gas station/convenience store operated by the Metlakatla Development Corporation currently located on the site. 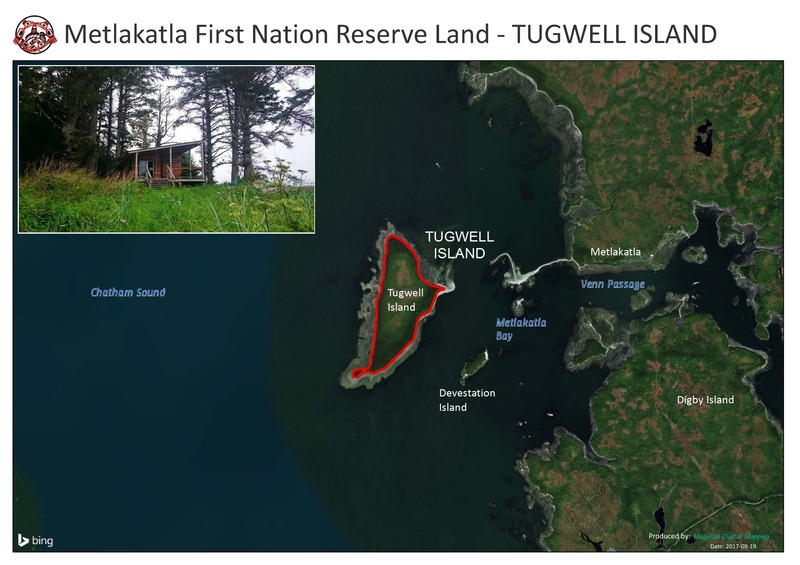 Tugwell Island (126.2 hectares) - is located about 11km west of Prince Rupert, was historically an important village site called lookout. It was used by all the tribes to protect access into Metlakatla pass. It has significant archaeological values. The island has flat terrain with a large meadow-area in the middle, however, there are steep cliffs on the eastern edge and on the western edge the island is eroding. The Island is used year round by Metlakatla membership for harvesting food and gathering. 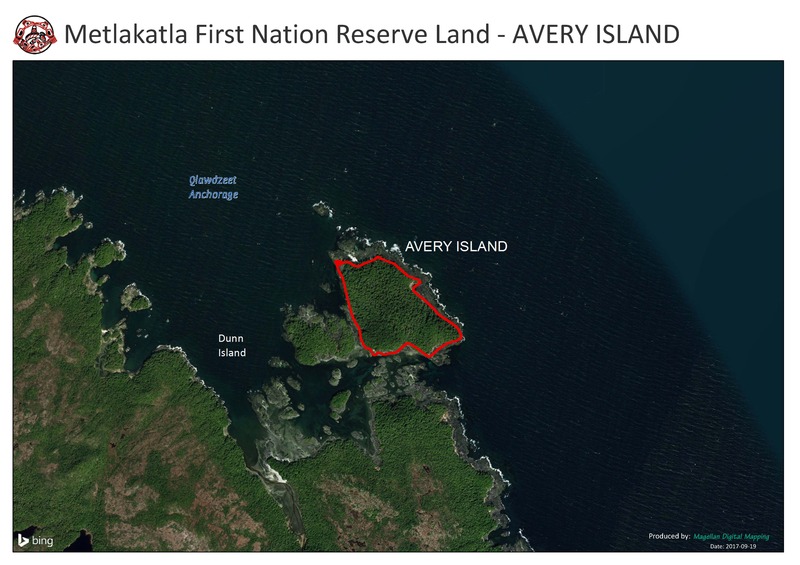 Avery Island (20.4) - is located north of Stephens Island in Bell Passage, about 28km by boat from Prince Rupert. The western edge of the Island is steeply sloped with grades of more than 20%. The balance of the island shows slopes of at least 10%. Avery Island has always been utilized for harvesting and food gathering – often as a staging ground for fishing. 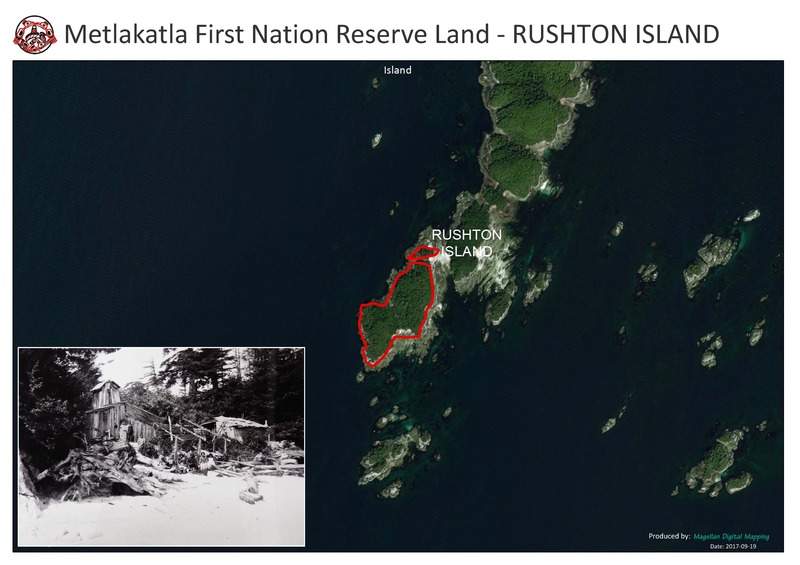 Rushton Island (6.8 hectares) - is located 25km west of Prince Rupert, north of Stephens Island in Bell Passage. It is accessible only by boat. The island is quite rugged with slopes of greater than 20%. The island was traditionally utilized for harvesting and food gathering and as a seasonal camp. There is a significant archaeological site and totem pole on Rushton Island which dates back more than 100 years. Today Rushton Island is still used as a base for harvesting and food gathering. Squaderee (2.2 hectares) - is located in Skiakl Bay on the west side of Stephens Island. 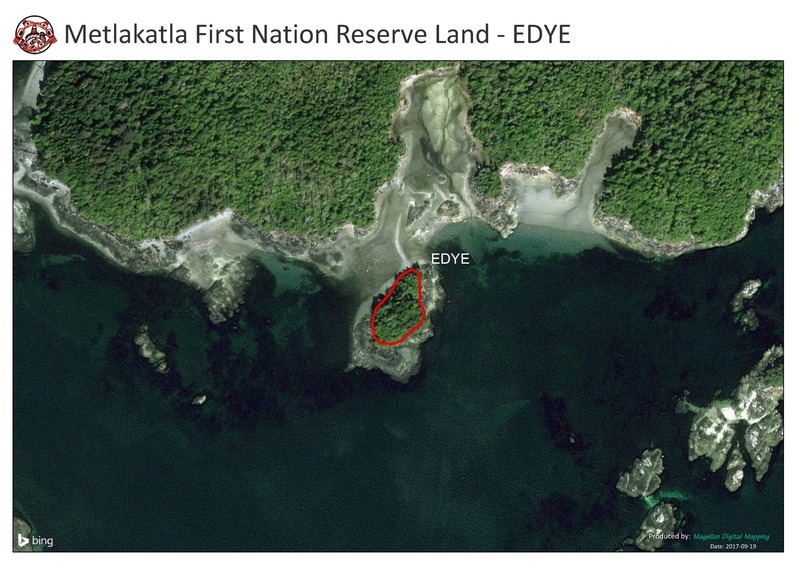 Edye Island (0.4 hectares) - is located about 30k, west of Prince Rupert in Edye Passage, just south of Prescott Island. This island has significant archaeological values. It has been identified as an important location for clams, herring eggs, seaweed and sockeye. 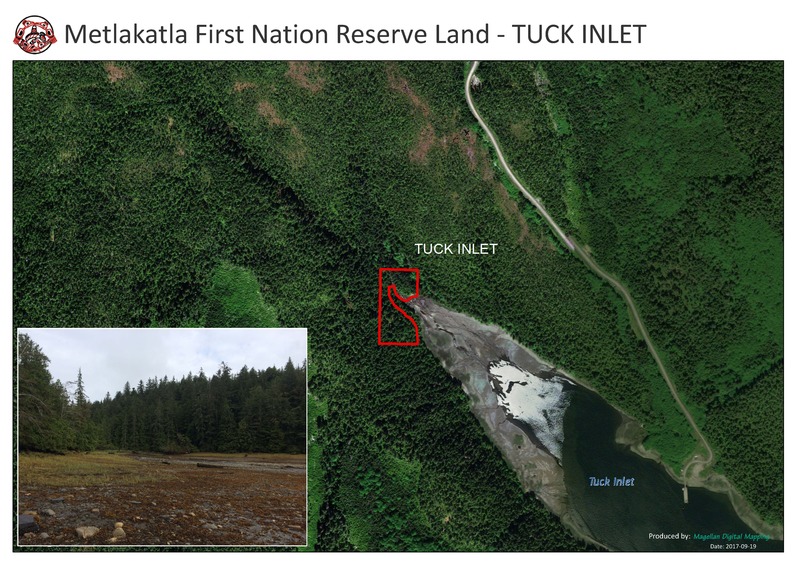 Tuck Inlet (1.6 hectares) - is located at the head of Tuck Inlet about 18k, north of Prince Rupert. Traditionally, this area was a village site. There is a significant watercourse that bisects the Reserve. 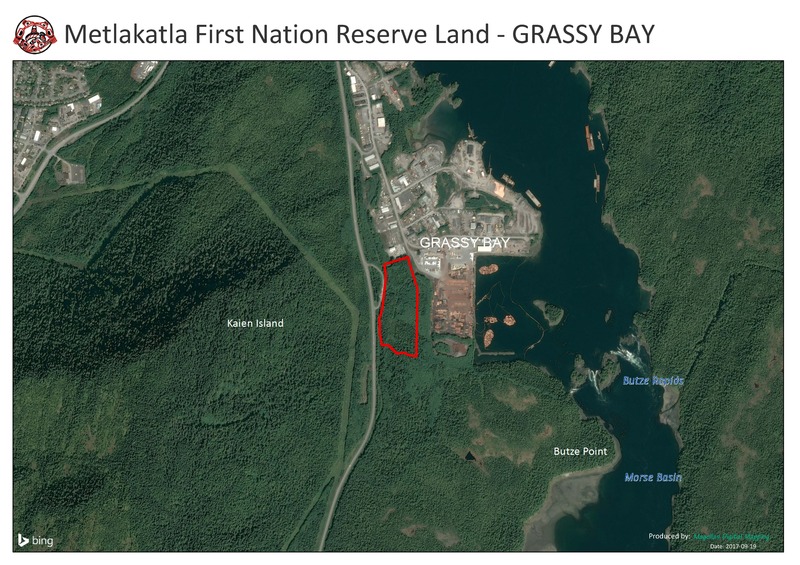 Grassy Bay ( 8.34 hecatres) - is Metlakatla’s newest reserve. It is located adjacent to the Prince Rupert Industrial site. 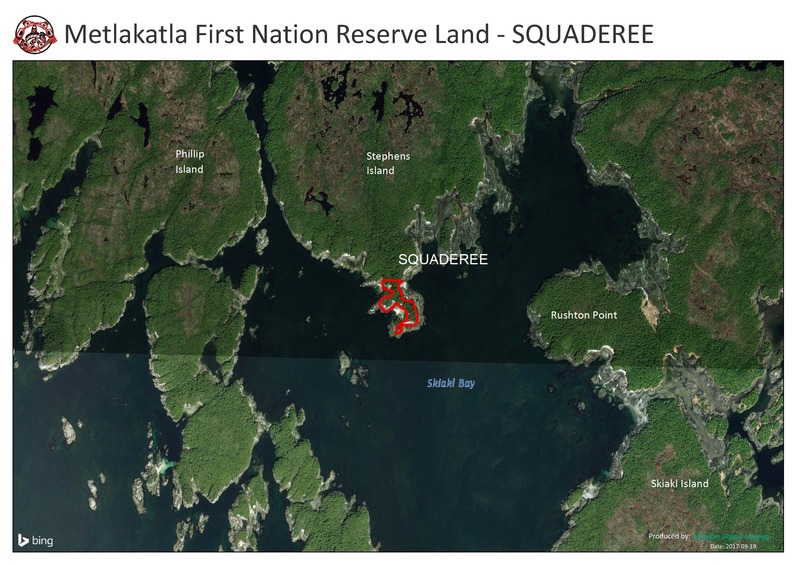 Click here for the Environmental Site Assessment for Metlakatla's 10 reserves. Please contact the Lands Department for the Detailed Land Description Reports prepared by Natural Resources Canada.